Corporations, governments, brands, service providers, educators, lobbyists, freelancers, advertisers, engineers, doctors, bloggers, and even those who don’t do anything – all of these have a website! Agreed, some of them hired professional web developers and designers to get these websites, but trust us – most of them did it on their own! How, you ask? The answer – website builders. Knowledge of coding and web development languages like HTML and CSS. Knowledge about purchasing web domains and hostin. Ability to develop business value adding functionalities. Hiring e-commerce managers and designers. A collection of website design templates and themes you can use and add your content on to. Option of adding your purchased domain name or hosting your website on the website builder company’s servers. A WYSIWYG styled website editor interface that allows you to easily customize your website design. Additional widgets, apps, and functionalities for achieving specific design, business, and marketing outcomes. Because of the unmatched ease they offer, stylish free templates, amazing and intuitive editors, and additional features, website builders are extremely popular. It’s way better than investing your time, effort, and money in other means of website creation, such as via HTML, CSS, involving website developers and designers, and 3rd party development service vendors. Not only can you get more control on the look and feel of your website, you can have it complete and live much quicker by using website builders. Plus, you don’t have to worry about aspects such as website hosting, domain, security, storage space, bandwidth, technical support, etc. 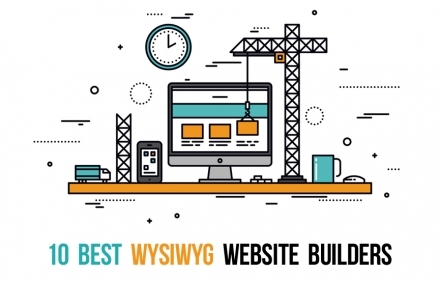 Let’s learn more on how exactly a website builder works. The foundation of a website builder is built on its collection of website templates, and its template editor. The first step is to select a good website template from the list; most website builders offer free options, spread across categories. This template becomes the base design, on which you can add your website content, and even customize the look and feel of it. All these content updates and design tweaks are managed through an intuitive editor interface. 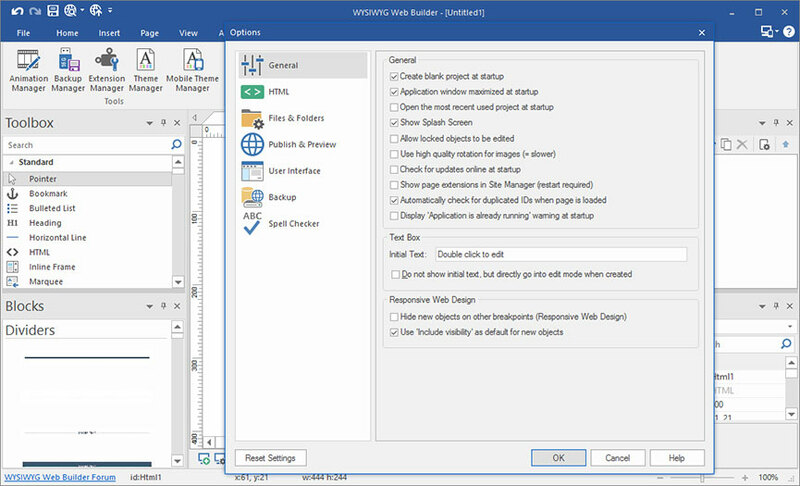 A typical website builder interface is WYSIWYG (What You See is What You Get), and is enabled for drag and drop. You are given a set of content elements, such as text, images, image galleries and slideshows, forms, videos, social media icons, etc. These elements are arranged in a sidebar, most often. You can just drag any of these content elements from the sidebar, and drop it anywhere on the template screen (where you want the content element to appear). Then, you can just click on the content element, and add your content, resize, re-position, and save the page. As you create your web pages using the drag and drop enabled editor, the website builder keeps on generating the corresponding HTML and CSS code in the background. If you are knowledgeable in these languages, or have a developer on-board, you can even access and tweak these codes for finer control on the look and feel of the website. Imagine, having the ease of creating a web page as if you’re working in MS Word or MS PowerPoint, and having the code created for you in the background! Expect to see another menu, where you will be able to use options to add new web pages, change navigation structure of the website, see previews of pages, manage core settings, etc. Most website builder interfaces have dedicated settings to help you manage aspects such as social media promotions, Search Engine Optimization, feedback forms, content updates, payment gateway integration for e-stores, etc. Modern website builder service providers offer you subscriptions under a Software as a Service model, where you can access the basic plus special features of the builder tool, for fixed monthly fees. This model makes it super easy for anybody to create a website using a professional website creation tool, with close to zero initial capital expenditure, and absolute ease of use, and thorough access to high end tools and functionalities. What is Drag and Drop Editor, And Why Is It So Important For Website Builders? You’d agree – drag-and-drop is the life and blood of a website builder. Let’s understand it better. Drag and drop, simply put, is the act of pointing the mouse cursor at a content element, selecting it via a mouse click, dragging the element to another position on the screen, and dropping it there. In graphics and web designing content, it becomes a massive boost. Rather than sweating over lines of code and hassles of managing placement of miniscule content and design elements on precise locations, drag and drop makes the entire design board available on a visual level. Just select what you want, and place it where you want it to appear. Drag and drop styled website creation uses sidebars and collections of buttons for text elements, shapes, banners, logos, icons, and more design elements, which you can, well, drag and drop! Drag and drop is notches ahead of the option of writing the entire website code. Not only can you complete a sophisticated and professionally designed website within minutes, but can also do so with better control over the look and feel. Apart from the design elements, you can even drag and drop content elements such as image slideshows, videos, etc. Integrating such content elements into a web page purely via coding is a tough task, made super easy and super quick via a drag and drop enabled website editor. Editing a website purely via code is a headache you’d want to stay away from. Imagine having to change code, checking how it looks, and then fine tuning. Compare it with the ease of just dragging, resizing, deleting, and repositioning content elements on the screen, often with the help of in screen rulers and grid guidelines to help you get the placement and layout right. That’s the power of drag and drop, and why it’s so indispensible a part of modern website builders. Make no mistakes, there are more website builders on offer than you would care to count. Here’s some information to help you understand the different types. The good news – most renowned website builders allow you free access, although that’s either restricted in terms of the number of days of access, the allocation go digital resources such as bandwidth, storage space, etc, or access to number of features and tools. Users can enjoy free access for anything between 2 to 4 weeks. Whereas it’s technically possible to keep using a free version of the builder, the limitations are bound to make it difficult for your website to become a real success. This is where premium subscription comes to the fore. Most website builders offer different subscription options, on a monthly fees basis. These packages differ in the range of features they allow you access to, and are priced accordingly. Most website builders offer 3 to 4 subscription packages, apart from a special package that’s suitable for creation of e-stores. That’s because e-stores need specific and dedicated functionalities such as payment gateway integration, product and inventory management, pricing and shipment management, CRM, marketing and promotions, etc. Website builders also differ in terms of the category of businesses they cater to. Most website builders have the basic components, as we discussed earlier. Based on their special inclination and appeal for specific audiences, these tools come with additional features and functionalities. There are niche website builders that appeal to people who wish to create websites for photography, content sharing, portfolio, digital marketing services, music and multimedia, technology, service businesses such as restaurants, dental clinics, legal services, etc. Such niche website builders differ in two aspects, as compared to the routine ‘one tool does it all’ solution. Firstly, these website builders offer highly specialized collections of purpose specific templates, with copyright free stock photos and design elements. Secondly, these builders provide specialized functionalities via in-built tools and options, and via 3rd party or in-house developer made apps that can integrate with the website builder. For instance, a service business professional can find website builders that come with advanced bookings and appointments, reservations, and client follow up tools. Then, photographers can look for specialized niche website builders with options to upload high quality images quickly, add and remove watermarks, offer content as paid downloads for subscribers, etc. 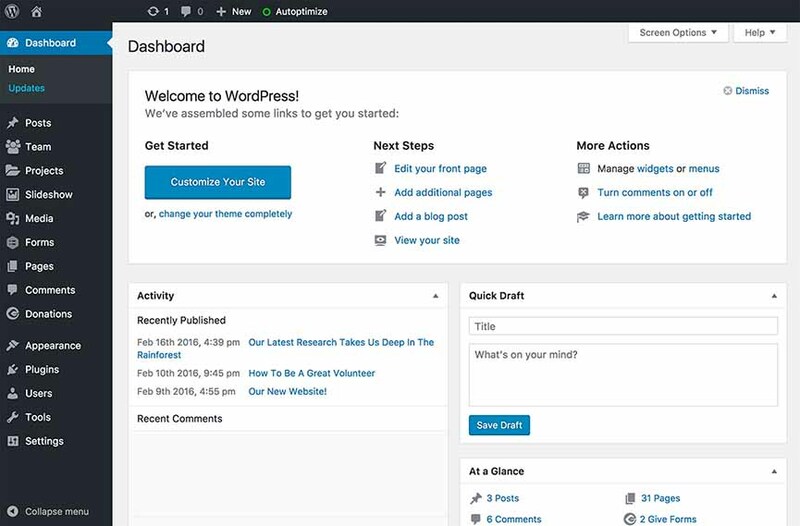 On similar lines, bloggers, news reporters, and authors can find niche website builders with dedicated templates that make it easier to present text-heavy content, and content management plus post scheduling tools. Another great aspect of niche website builders is the community and forums they offer, where other subscribers operating in same field and business line as you discuss how they can best use the features and options of the tool to achieve positive outcomes. Also, you can expect the customer support teams of these niche website builders to easily understand the context of your requests, issues, queries, and will hence deliver value adding solutions. There’s another type of website builders you’d want to know about – offline and online website builders. Till now, we’ve discussed mostly about online ones, let’s understand more on how offline website builders stand in comparison. These come to you in the form of downloadable installer packages, which you can then install on your operating system, and access the program to then create the website. Of course, like every software you download, this will occupy space on your system hard disk. Also, you’d need to know the system requirements and operating system compatibility requirements of the software before installing it. Modern offline website builders offer you intuitive, WYSIWYG styled, and drag and drop enabled editors, along with templates, much like online website builders, making it super easy and quick to create a website. You don’t need to be connected to Internet to access the offline software, and hence, can indulge in the website creation activity even when you don’t have Internet connectivity. Most offline website builders come with dedicated support, to help you find your way when you’re stuck with the technology. The degree of flexibility is massive with offline website builders, and you can easily control and change the look and feel of even the most minuscule of content and design elements. Well, an offline website builder, for starters, needs system resources, such as storage space, computing power, etc. So, you need to have a powerful and updated PC to seamlessly use it. The interface of offline website builders is not as easy and intuitive as most online website builders. You will need to be connected to Internet to make your updates and content changes go live on the web. You’d need to regularly upgrade the website builder, because developers keep on correcting bugs and adding new features. Offline website builders don’t get facelifts and upgrades as frequently as online builders, so you might end up having to wait for new functionalities to be available. Sensational templates, responsive designs, WYSIWYG plus drag-and-drop enabled builders. Niche functionalities, widgets, tools, settings, and apps to manage advanced aspects of web business and blogging. Limited initial investment, zero responsibility of technical aspects such as website security, hosting, etc. One of the issues with some online website builders is that they don’t allow you to easily switch to another service provider, because the technologies used to create the design code is unique, and not supported by the other builder. Apart from this, there is no real disadvantage of an online website builder, in comparison to an offline software. What to Consider Before Choosing a Website Builder? The choice of a website builder is a grand decision, because it’s not easy to switch over to another a few months down the line. So, here are some factors you would do well to keep in mind. The number of years a website builder service has been in business, and the number of clients it has, speak volumes on its relevance as a choice for you. You’d be able to find website builders with 10+ years of business experience in the market, and 1 million+ websites already built using the tools! You might also want to do a quick comparison of your potential choices on Google Trends, to get insight on the kind of interest the website builders have been generating. Professionally managed website builders offer customer support via chat, email, and call. Most of these builders offer support during European and USA business hours, though a few offer 24 x 7 support. If you want the best of support such as when you’re creating a web store, you can even avail the services of a dedicated accounts manager. Ideally, you’d want to get your hands dirty with the interface and functionalities of the website builder before you get yourself on-board as a subscriber. Most website builders, especially the good ones, offer 2-week free trial, which you can leverage to get a hang of how it works. Also, the best website builders offer refund policies, which you can avail to get your money back, if you quit the subscription within 30 to 45 days. There are 2 major points here. 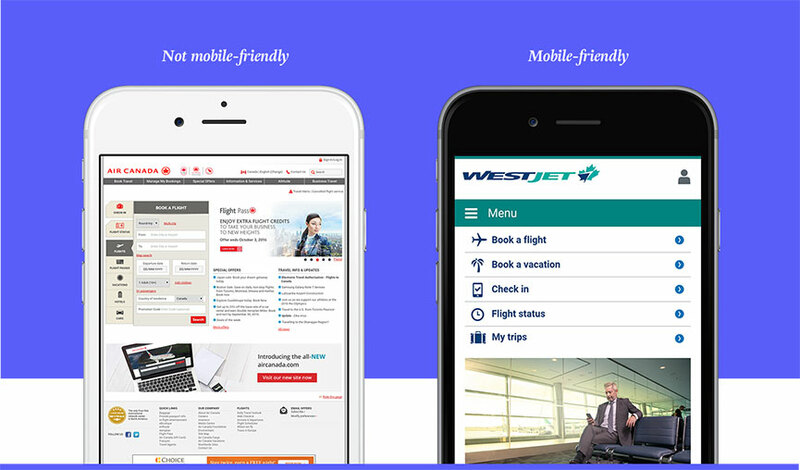 Firstly, you would ideally want to go for a website builder that offers you mobile responsive website templates, so that your website loads perfectly on all devices. Secondly, website builders also offer mobile apps on Android and iOS, using which you can manage content updates, changes, design tweaks, and even order management on e-stores, on the move. Of course, there will be other factors, such as ease of use, range and quality of templates, number of options and resources you get in the free trial subscription, the pricing of the plans, reputation of the company, in-house SEO and social media management features, etc. Based on what’s most important to you, it’s easy to compare different website builders and zero in on the perfect one. The right website builder empowers you to create a stunning new website in a jiffy, practically within minutes. 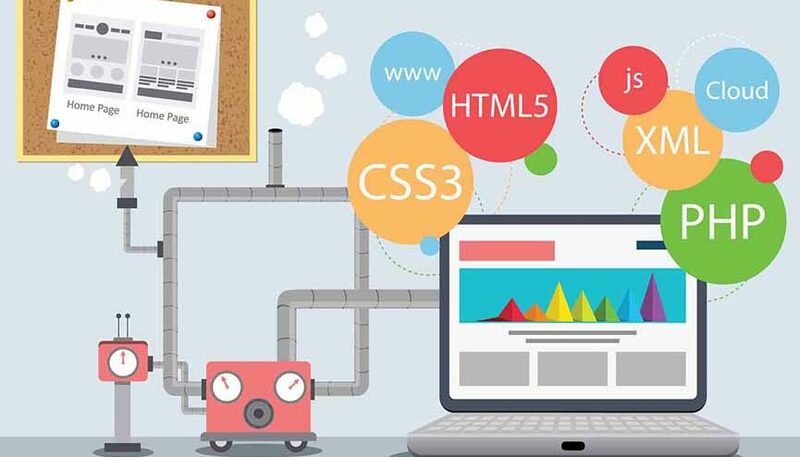 Maintenance and upgrades of the technological aspects is handled by the website building tool provider, which leaves you with all the time and mind space to focus on the design, content, and functional appeal of your website. We’ve tried to explain the different kinds of website builders, their suitability for different applications, and what you need to keep in mind before choosing one. Happy website creation! 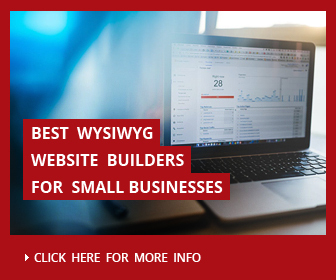 Next storyBest Business Websites Builders- How To Create Site For Small Business?